LizardTech® and Extensis® have announced the availability of Extensis Portfolio™ 2017, the first digital asset management (DAM) solution that is optimized for geospatial data — Portfolio 2017 enables users to easily organize, access and share geospatial datasets, including compressed MrSID® files, along with associated graphics and documents. Divisions of Celartem Inc., LizardTech and Extensis collaborated in adding geospatial data management capabilities to Portfolio, a DAM solution developed by Extensis. For more than 15 years, thousands of government agencies, businesses, universities, libraries, and museums have relied on Portfolio to centralize and manage digital assets. The DAM solution indexes and catalogs photographs, videos, maps, audio files, Adobe® Creative Cloud® applications and Microsoft® Office documents. 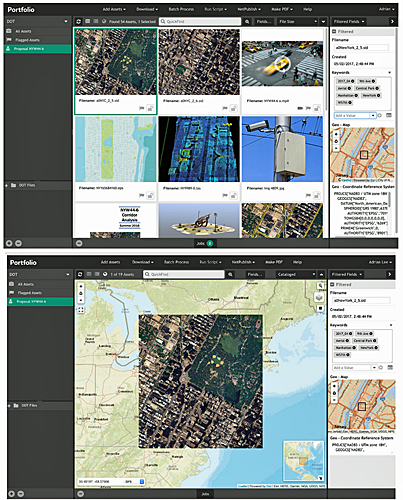 Portfolio 2017 gives users across the enterprise instant access to imagery, LiDAR and video data captured by satellite, aircraft and UAV platforms even if the files are stored on multiple networks, drives and computers. Geospatial files that have been compressed and saved in MrSID formats with the LizardTech GeoExpress® solution can be loaded and viewed into Portfolio without any further data conversion. Dynamic panning and the ability to zoom in deeply to MrSID files in Portfolio expedite the process of assessing geospatial images, even in preview mode, and then pair with other documents such as proposals or presentations. Now optimized for geospatial data, Portfolio extracts embedded metadata from compressed imagery and LiDAR files saved in MrSID formats — in addition to other common geospatial formats such as GeoTIFF, JPEG 2000, NITF and LAS — for intelligent archiving. Geospatial data can be indexed and stored alongside associated non-geospatial photographs and documents for easy access. 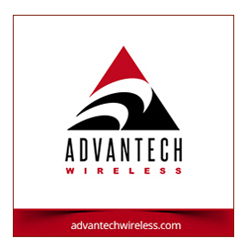 Flexible distribution, including on-premise hosting of assets behind the firewall and the ability to securely distribute and access assets via the web. Toby Martin, Vice President of Development and Strategy at Extensis and LizardTech, stated that in laying out the vision for Portfolio 2017, the company saw a unique opportunity to marry the value of LizardTech and Extensis products and extend the value of DAM to new industries, particularly geospatial. For geospatial users, having a centralized repository for managing digital files will significantly reduce the time spent looking for datasets and essentially eliminate costly replacement of files that have been misplaced. Portfolio multiplies the value of geospatial assets by making them easier to share with many end users throughout the organization as well as external partners. To learn more about Portfolio, click here.